The Higher Education Commission (HEC) viz Education Testing Council (ETC) will conduct Higher Education Aptitude Test (HAT) for award of HEC scholarships and for admission in MS/MPhil programmes through a uniform, accessible and transparent selection process. 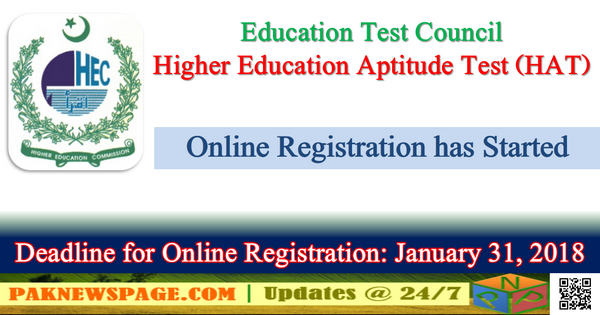 who have already applied online for HEC scholarships via E-portal for further final selection process. 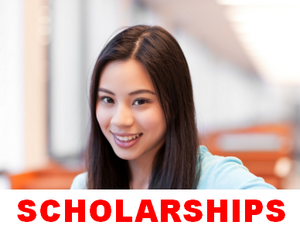 who intend to apply for future advertised scholarship schemes and advertised by universities. who are interested for securing admission in MS/MPhil programmes in public and private universities of Pakistan. In case of any query during online registration process, please contact HEC offices in Islamabad or Regional Centres in Lahore, Karachi, Peshawar, Quetta and Bahawalpur for guidance or email at etc@hec.gov.pk. Original online deposit slip/ ATM Transfer Slip of Rs. 500/-(non-refundable) as application processing fee in favour of Director General Finance, HEC. Fee can be deposited through any bank in Account Number 1742-79001334-01 Habib Bank Limited.